There is high demand in today’s global economy for fiberglass and composite products that can perform in unique and often stringent environment. Modular Pools is not only versatile , but also offers a wide range of practical and environmental benefits. Modular Pools offer a number of advantages and can be selected specifically to create various designs & customization option based on your preference. 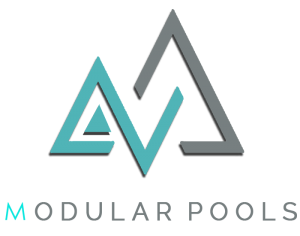 Modular Pools is constructed using advanced manufacturing techniques and specialized highest mechanical strength materials to guaranteed products with excellent durability. Light-Weight construction brings a score of advantages including reduced engineering cost and structural expenses. Further, the Modular Pools panels itself is robust and relatively light-weight, so you can install one any place you want it, even upper floor or rooftop. Modular pools process reduces the construction period dramatically compared to a conventional concrete Swimming Pool, resulting in reduced labor and material costs. Modular Pools offers more option than any other pool manufacturer with features like a variety of pool finishes, built-in water features like fiber optic, led lighting, infinity edge filtration systems to provide you with a superior pool that compliments your lifestyle. Modular pools is one of the Malaysia Swimming Pool contractor utilize the latest composite technology to create exciting modern pools. Contact us now & share your idea with us, we get you started.